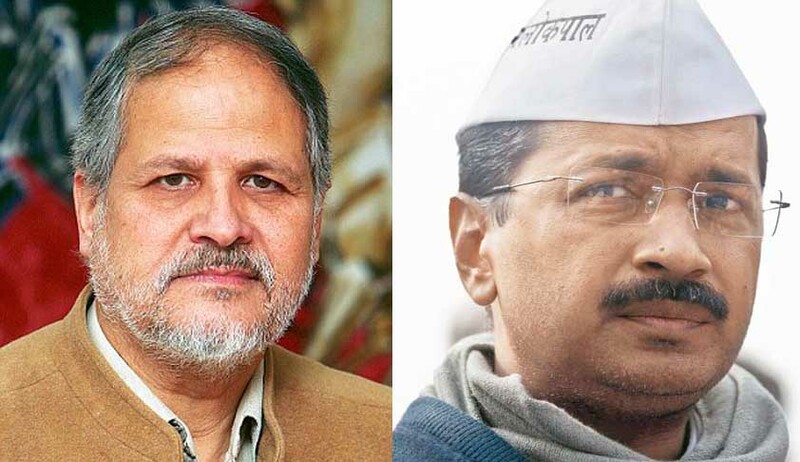 For the first time, the intense power struggle between Chief Minister Arvind Kejriwal and Governor Najeeb Jung figured in the Supreme Court today. The bench of Justice T.S Thakur and Justice V Gopala Gowda said it knew that Delhi people suffered. The reason was serious governance problem caused by constant fight between Kejriwal and Jung, mostly over contentious bureaucratic appointments it said but significantly refused to entertain the Public Interest Litigation filed by a businessman Tapesh Bagati on governance deficit leading to deaths from dengue saying “It is not for the courts to step into such disputes”. After making significant observations the bench dismissed the PIL. According to the Petition, " The Petitioner is approaching this Hon’ble Court to seek redressal of his concerns, occasioned by the continuing conflict relating to the administration and governance in Delhi during the course of this year, which has led to a breakdown of systems of governance in the National Capital Territory of Delhi. This ongoing tussle has led to a complete collapse of the Constitutional machinery, resulting into a failure on the part of the administration in Delhi to effectively cater even to the needs of basic amenities, such as water, health, education, electricity, and sanitization, thereby curtailing the Fundamental Rights under Article 21 of the Constitution of India available to all residents of Delhi." “The conflict between the Respondents (kejriwal and LG Jung) has caused grave consternation to the citizens of Delhi, including the present Petitioner. Delhi is the national capital of India, and such conflict in the administration of Delhi does not augur well for a national capital, and leaves its citizens thoroughly disillusioned with the administration and governance of Delhi. Bagati’s lawyer Siddharth Luthra and Priya Puri urged the bench to issue a direction to the Delhi government and LG Jung to discharge their duties under the Constitution and other statutes. Luthra also sought an order from the court to the government to ensure effective administration and good governance in the NCT of Delhi. The bench quipped that if the two governments - one led by Narendra Modi at the Centre and the other led by Arvind Kejriwal - do not resolve their disputes and create governance problem then people will pass appropriate verdict at appropriate time. “It is for the two governments to sit together and resolve the disputes and give good governance. It is not for the courts to step into such disputes”, said the SC bench. “Issue an appropriate writ/order/direction Delhi government and LG to discharge their duties under the Constitution and other statutes and ensure effective administration and good governance in the NCT of Delhi”, said the petition.